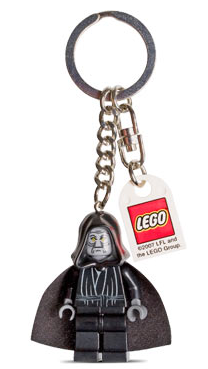 852129 Emperor Palpatine Key Chain is a Star Wars Key Chain featuring Emperor Palpatine, released in 2007. It also includes the LEGO logo. Facts about "852129 Emperor Palpatine Key Chain"
This page was last edited on 9 January 2016, at 23:46.